It was never going to work. The plan was to attend the Friday Milonga and then decide if we would do any workshops. The rule was that if you want to attend any workshops with Tangk you must first do beginners. Having done tango for almost fifteen years and due to work commitments it is unlikely I would ever get back, I could see no point in doing a basic class. We felt sure that as we knew the organisers and some of the teachers that there would be no problem getting into an advance class, but first we had to get there. This was our problem, I was working until six on Friday morning, and then I had to hitch up the caravan drive three hundred miles. After this I had to set up base and then go out dancing. I was up early enough, but the drive took it out of me. We arrived and set up camp by about seven-thirty, but I was spent by now and so we had an early night. In the morning we had an early call from the guy who collects the money. 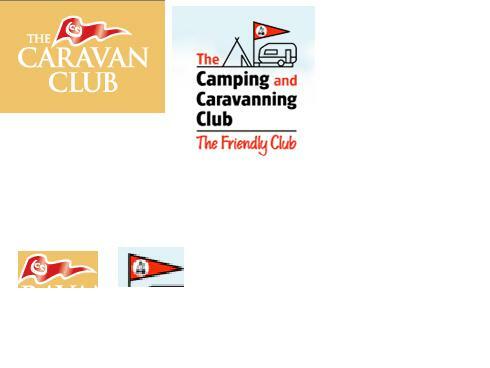 As we paid him he said “can I see your membership card” so I showed him my card and he said “this is a Caravan Club card” I looked puzzled “we are The Camping and Caravan Club” he said. Have a look at the flags, both red triangles with something in the centre. As Viv said “you never hear anyone mixing up The AA and The RAC” Still the guy was ok and let us stay. So we never got to any workshops but we did get to a couple of Milongas. We were only in the New Forest for five days so two nights tango was a good ratio. Saturday night was the best for me, all traditional, arranged in Tandas and very social. We had other things to do during the days and on the following nights, catching up with our daughter was the primary concern, so all in all we left happy. From here we set off across the Severn to Cardiff. It was a shorter journey, I had a good night’s sleep, so arrived much less stressed. Also we knew this site from our camper van days, we could just relax. Things were not altogether smooth though; recent rain had left the site muddy, so we were forced to go in search of a groundsheet for the awning. Viv was not at first happy with our situation, but she soon settled in. We managed some tango here, as well. There is a regular Tea Dance at Morgans Town. We have never made this one before and we had some confusion about times. When we had been there no more than an hour they called “tea” I decided that we would just make the most of the time and keep dancing. When I did check it out there was an awesome amount of food. I did partake of a little, but I had promised Viv a meal out. I think the organisers were a bit taken aback when we left just after seven, but we had decided to eat out and were surprised it was still going on. We had expected it to finish at six (it finished at eight apparently). Next time we will have a better idea of what is happening and will stay to the end, but for now we were hungry. A little geography is in order here; The Halfway is about a hundred yards from our campsite, walking. In the car it can take about ten minutes. The menu in the window said that they did Fish and Chips, what had got this into Viv’s head I don’t know, but I was easy with it. I dropped her at the door said “order the drinks and food and I will park the car” I was not about to be denied a pint or two. I arrived back at the pub, where Viv said “you will have to pay for the drinks” she had come out without money; on top of this they stopped serving food at eight. Now I did not fancy walking back for the car and I already had one pint in front of me, so inappropriately dressed and with dancing shoes on we set off in search of food. It looked like rain and we had to walk to Canton before we found a Weatherspoons. Now we hear mixed reports, but you know, when you want food they are always there. No fish and chips but we had my favourite “All day Breakfast” delicious. When we came out it had indeed rained, but we must be very righteous because the sun shone upon us as we walked back, well fed and merry. Monday saw us return again to Barocco bar for Tango Edge. Again we were welcomed as old friends and I had the chance to kiss the bride as Xenia had married Graeme this year. Wonderful music and a real atmosphere, it is just a shame that like so many places we know that I can get there so rarely. We stayed right to the end and had a mini adventure walking back along the river in the dark. Our final destination was Iron Bridge; we were not expecting any dancing, but five days of exploring all the fabulous museums. I was not disappointed in the passport it was worth every penny and we filled five days actually failing to see the last museum (The clay pipe museum). Viv got her fish and chips finally in the Victorian village, cooked in real lard. We did some checking and found that indeed there was a dance that Saturday. So we turned up not knowing quite what to expect, but ready to accept whatever we got. What a revelation, the crowd were indeed old but not aged. The first dance was a Waltz Catrine, the first sequence we ever learned (rarely danced now in these parts); great start. There were, of course, one or two we did not know, but this far from home, not as many as we would have expected. They stuck strictly to the fifty percent, half ballroom half sequence, and do you know? These Zimmer frame dancers had me sweating even though we were doing less than they were. They played a ballroom tango (yes I know I’m a hypocrite) but there were not many on the floor and it was La Cumparsita. Afterwards people were coming to us all the time “We loved your Tango”. We tend to worry that people expect Strictly, but I suppose social dancers the world over realise that there is a difference. In the second half they played another tango and nobody got on the floor, I guess it was Show time. I suppose it must have been that because we left the floor to much applause. The people here were lovely even the steward of the club came to welcome us and beg us to come back. If you are ever in the area I can heartily recommend the place; live music, beautiful building, friendly people and welcoming staff, what more could you want? All too soon and it was time to return home. I had a pile of email and I needed to tell people about our practica. Two regulars cried off for family reasons and with little notice I expected a poor turnout. Just shows, you never can tell. A private class one other and that looked like my limit, then the bell started ringing, people just kept arriving. We ended up with record numbers and I just could not bear to send them home at eleven (even though I had to be up at five in the morning). When they finally all left Viv said “that was a bloody good night” I agree. Early one today at Nueve Chique and it’s raining again. As we rushed own to the subte Viv said “Callao” and I said “yes”. That is what happens when you are rushing and when you go onto autopilot. As we came out of the ground I realised we should have got off at Uruguay, that meant an extra four blocks in the rain. I thought we could dodge under buildings and avoid the puddles, but it was all a bit futile. By the time we arrived we were soaked. We hung our waterproofs in the guardaropa and sat down inside. My shoes were damp, I had decided to wear my street shoes as we were going on to eat and I have a habit of leaving my shoes somewhere along the way. This was a big mistake as my trainers are waterproof and I would not now be sitting with damp socks. Feeling a bit sorry, I did not try to catch any eyes until at least I had a drink. I don’t know whether this early reticence made a difference, but later I did start finding it hard to attract dancers. I was not at my best anyway so perhaps it is better that I only got to dance with a few good dancers, mainly I got the principiantes that no one else wanted to dance with. That’s ok though as Viv always says “anyone can look good with a good dancer, it takes real style to look good with a beginner”. As I thought we had enough by eight when it was time for us to leave. Out again into the rain. At least when we got down into the subte at Saenz Pena it was warm and dry. But hang on, there was a problem. This was the wrong direction and there was no way to cross over. We had to return to the street, in the rain to get to the other side. As always the traffic was against us and we had a long wait before we could cross. Then we saw the sign but it said “Salida unicamente” so we had even more running about before we finally got to the warm dry blown air dryer that is the underground here. Two changes of tube, the first two trains were fine but the last one was packed. It looked to me like there was some hold up as there was a train waiting on the other side. So we were filled to bursting all the way, eleven stops (Viv counted). Then out again into the rain. We walked the five blocks down and never was a sign more welcome “Mykanos” our Greek restaurant. We were dead on Nine, I am not sure how we do it in this city of chaos, but somehow we are rarely late. (except of course when we are spectacularly late as we were in https://tangogales.wordpress.com/2010/10/20/some-you-win-some-you-loose/ ). The girl at the entrance asked if we had a reserva. I said we had in the name of Pericles, blank look, “James?””Igor?” no luck here, She asked if it was for six “no se”. Fortunately then Igor did arrive, he phoned Pericles and we were soon seated. There was one missing from our party however and Pericles was in and out of the building to see if he had come. Viv said “It will make no difference, you may as well relax” and you know once he relaxed the prodigal arrived, another victim of the chaos of a tiny city with four million people in it all trying to get home from work. You simply cannot overestimate the time it will take you to travel this time of night. The staff were really friendly and individually all came over to chat. It seems the girl who does the dancing lives on our block on Humahuaca. Viv was jealous she wanted to live there, just for the name. The Geek here is Igor, not in a bad sense, he is something of a computer wizard. One of the worlds nice guys. I spent the night micky taking and he just laughed along with us. I always enjoy his company and it is a shame we do not see more of him. Anyway the food was great, the dancing was also great and they even got us up to join them. This is where we had problems, I had, you see, Untied my shoes to let them dry a bit and came close to bringing everyone down as I fell over my laces. I tied them up and rejoined. They made a terrific effort to get everyone to enjoy themselves we even had our own plates to smash. The only down side was the price, like everything here it has got very expensive and I am extremely grateful that both Pericles and Igor paid over their share. Also Pericles insisted we share his taxi home, I wanted to take the collectivo but he would have non of it. Again though I was surprised by the final charge, at one time we could have come home from Villa Urquiza for this price. Still as we did not pay the whole fare at least it gave me a view of how expensive taxis have become. After reading several blogs from women, I am driven to write again on the subject of men criticising women on the dance floor. Why do they do this? Does it cover their own insecurity? Or perhaps they really do think they are the greatest tango dancer in the world and we should all learn from them? Surly this is not what we want; I would think that men have enough of dancing with me in the classes and would prefer to dance with women. Drive them all away and I will be all they have left. Standing mid floor giving instructions, will not only upset the woman but also all your fellow dancers. We don’t want to come across a bus stop every time we come round the floor, neither do the ladies expect to be the object of everyone’s annoyance. Whispering instructions may be preferable to standing mid floor causing embarrassment, but let’s face it the men also would not like being criticised. Some times with beginners I will offer advice on posture and stance, we can’t lead anything if our follower is not there, but I will never tell the lady where she should move or say she is a bad dancer. If something I have led does not work I will assume either I have not led it well or that the woman is not ready for this particular move. I will leave it there and try something else, after all I have enough in my repertoire no one is watching us, and we are not in an exhibition. A good leader will feel his way to the ladies level and only exceed her level where he thinks she can follow. I have often been asked to give classes; I decline because as a shift worker I cannot regularly give my time, also I am not trained to teach. True, most dance teachers are also not trained to teach, but here we have a teacher who is, so I will bow out and just give the beginners my time and stick to some one to one coaching. Now the business of picking fault is not the total reserve of the men out there. This may come as a surprise, but even I am not immune. In Amsterdam 1998 we attended beginner’s classes at Tangomagia and the way some of the more advanced women picked on me almost killed my tango career there and then. Had I not been with my wife and able to say I did not want to change partners I truly think I would not have stayed the course. So women, I know how you feel. My dancing still is far from perfect and still I get women who delight in picking at my faults, fortunately after this long, I know what most of my faults are and just ignore the critics, most of the time. One or two just annoy me, so I vote with my feet and dance with others. No one is perfect and believing you are will not make you a good dancer or teacher. Often in class I will spot faults in others that I myself have. This is not hypocrisy, knowing my own faults helps me see them in others, and hopefully if caught soon enough I can stop others developing the bad habits that I seem to be stuck with. So my advice is: Women, dance only with those men who please you, if someone constantly picks on you, it is due to their inability. Better to be sitting down listening to the music than being miserable while you dance. Men, dance for pleasure, not to show off, and if a woman does not get what you are leading, do something else. You are not there to teach but to give your partner pleasure while enjoying yourself. When you stop trying to be something you are not, and stop trying to make your partner something he/she is not, as a couple you will look better, be better dancers, and enjoy your dancing so much more. As I often say basics danced well can look great where as bad dancing never looks good, no matter how advanced it is. How do you rate a dancer? Is it someone with all the moves, someone who moves smoothly around the room, or someone who pleases their partner? It must be obvious to anyone from my previous posts how I think, but I wonder, do others agree? I still see many who simply want to accumulate as many moves as possible and move constantly into higher classes without first mastering the level that they are at. A similar thing happens in the salsa scene as well; we started back to salsa about six months ago, and due to the long break we have had, we started right from beginners. A few of those who started with us moved into improvers as soon as they could. We however stayed for a second term. Now you may think that perhaps we are just slow learners, and I would not disagree, but there are quite a few others who fit this same category. After our second term with the beginners, we moved on, only to find the same people who had been with us before now struggling. This was now their third term, so of course they must move on from intermediates to advanced. What is the hurry? We fully intend to do another term of intermediates before we move on, we will know when we are ready and we have many more years dancing ahead, there is no point in spending those years struggling. Can you not learn to dance well with the basic moves first? As we change partners I can tell who has rushed through and not yet achieved the basics. There is no shame in being in a beginner’s class; after all in tango as well as salsa you can look good doing the basics if you do them well, equally you can look awful trying to do advance stuff when you do not have the basics. We are fortunate in the tango scene around here, in that most intermediates attend the beginner’s classes as well. This keeps them grounded and aware that we are never too good to go on learning. It serves another purpose as well, it gives the beginner’s an idea of how they should dance. This learning experience is lost however when we stand mid floor and direct them verbally to do moves for which they are just not ready. All of us, in time will develop a repertoire that suits our style and ability to remember. The moves we learn and carry with us are a product of each of our personal styles; these things develop with time and patience. The point is though, to try and learn moves just for their own sake, is pointless, and in the end will be fruitless. If your body is not ready and your abilities not honed, then you will just be going through the motions, you will always struggle and in the end will just forget what you have learned. Take this from someone who has been there, someone who has in the past had a massive repertoire, learned all the moves, but in the end, lost it all and went back to basics. Viv and I have been dancing together now for, I think, sixteen years. Not all of it tango, that is true, but for most of that time we have done tango in one form or another. My personal tango journey has seen me stop and re learn time and again until we saw how it should be done, in Buenos Aires. I am more than glad to pass my experiences on to others to save them time on their personal journeys, but for those (and I can understand the need) who need to travel their own route, I will wish them well and help if I can, for I am sure that in the end they will come back to tango as it should be, basic, flowing, line of dance, and with the music. I am constantly reminded that the scene here is growing at a meteoric rate. This is due in no small part to the fact that we are all learning the same things from a proper syllabus. The teacher we have is trained in teaching, not someone who has just picked it up, and we are learning traditional tango, danced to traditional music, line of dance and for our partners. Our group now has over one hundred dancers, I was taken to task for saying it is too small to split, despite the number I still think this is the case. As a group we need to stick together, while we are together dances will be successful, the group knowledge will increase, and more importantly we will attract more and more dancers into the fold. After all is this not what we want? For the whole world to enjoy this beautiful dance? I get comments these days that are more like posts than comments. I am not complaining all comments are welcomed, good and bad, but I like to reply to them all. So for the second time I must do a post in reply to a comment. I received a comment from Jantango in Buenos Aires Teacher is not always right and feel again that this deserves more than a quick answer. I remember the first time I was at a milonga in Buenos Aires it was at Confiteria Ideal in the afternoon. We had been taken there by our guide for the trip, who educated us about the codigos where to dance and how to cope with what was a totally alien environment to us. We fell out some time later, which was a shame, as I think she gave us invaluable information for times to come, and although we are no longer in contact I would gladly recommend her to anyone visiting for the first time. She had the sense to bring us early, when the place was less crowded. This allowed us to get a feel for the room and to get up and dance in the time when people were still coming in. So how does this relate to the comment? Well no teacher I had been too had ever been to Argentina, none of them knew the codigos, none could tell me how to cope. As more people came to the milonga, we found it more and more difficult to move, and for some reason, I had yet to learn, and we were always in the middle of the floor. We had couple of days of this before our first dance lesson. We had been signed up with a guy called Roberto Canelo. He was not milonguero in the true sense of the word, more a stage dancer. In his early days he had been embarrassed at his local club, Club Almagro by being asked to leave the floor and watch how the true milongueros did it. He soon learned how to navigate the floor and move to the music not just doing steps, so now he passes his knowledge on at his tango school. Nothing of this was known to me, of course, I was just passed to an Argentine who taught tango, and of course to me the fact that he was argentine was all that mattered to me at the time. With him we learned to dance milonga, how to cope with a crowd how to navigate the floor, and importantly to me, why I always ended up in the middle. He told me that old milongueros will dance to the outside of the room, taking any space left to the right, forcing any principiantes into the middle. So now I must learn that as well as protecting my partner I must defend my right hand side, I do not let anyone into this space, it is mine alone. With this knowledge I can gloat at the show dancers, principiantes and yanquis who populate the middle of the floor. He learned all this by going to the milongas, he already was a great dancer, but could not cope with the milonga floor, not until he had experienced it himself and had the coaching of other milongueros. So when I learn that a great show dancer with years of experience could not cope at a milonga, you should not be surprised that I greet with horror the thought that people who have less than two years tango experience want to teach. You should also not be surprised that I will not go to any teacher who has never visited a Buenos Aires milonga. Too many spend their time learning steps. In the UK we learn boleos, ganchos , baridas, but rarely do we learn about the music. What we need to do is listen to the music, as it changes cadence, we need to be aware and change with it. Often in beginner’s classes, we are so intent on learning that our movement’s bare little relationship to the music, this is Ok for beginners, but as we get more proficient we should be dancing to the music not just doing moves in spite of it. Go to almost any milonga in Europe and you will see them; they do all the moves, awesome routines, fancy footwork, but no musicality. In the northern hemisphere we need to learn that dancing is not about moves, this is not Strictly, it is social dancing. Tango is the music as much as it is the dance, if you do not feel the music then you are not dancing tango. The music needs to be in your mind and in your soul. If you spend all your time learning more and more moves, you miss the point, your time would be better spent listening to the music, and trying to get to know the artists. And don’t even think about getting me back on the subject of DJs playing non tango music. Again all comments are welcome, good or bad. If you disagree tell me why, wealth of experience comes from exchanges of ideas not monologue.